We have had a GREAT business relationship with Lab Supply, Inc. since March 2011. We raise small animals and Jason Raynor met with us about their supplying us with a quality feed. We were happy with what we were using, but when we looked at the WHOLE picture, our feed costs would be cut by about 20%. We decided to give Lab Supply, Inc. (and Mazuri feed) a try. Not only was our cost slashed, the Mazuri feed eliminated the extremely nauseating ammonia smell from the animals. Prior to using Mazuri, the ammonia was so strong, it was difficult to tolerate working with the animals. We are SO PLEASED with Lab Supply, Inc. They have improved our business and working conditions 100%. OH! I almost forgot. The service Lab Supply, Inc. provides is impeccable. 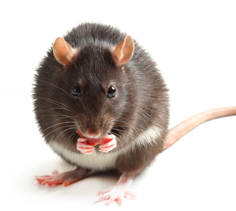 When caring for mice and rats in breeding colonies, it is important to ensure they are getting the proper nutrition they need to ensure maximum breeding potential. Rodent Breeder 5M30 is a great feed for rodents that is designed to help maximize the genetic breeding potential of your rats. This rat breeder diet is perfect for animal facilities that keep breeding colonies of mice and rats. Rodent Breeder 5M30 is also unique because it contains yucca shidigera which lowers the ammonia levels in the waste of animals that consume it. If you are interested in our rat breeder diet, then please click here to view the product in our online store. Here at Exotic Animal Supply, we are committed to making sure that you find exactly what you are looking for. If you have any questions about Rodent Breeder 5M30 or any other products we offer, then please click here to visit our contact page. We will be more than happy to answer any questions you may have.